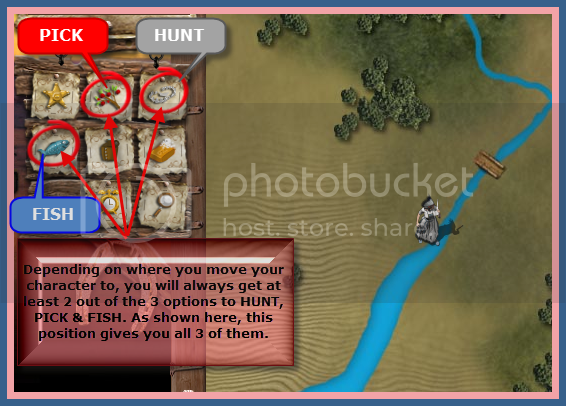 When you have travelled out of a town, you will have 3 options available to forage for food and/or provisions. Mainly in forests and plains, desert and mountainous terrain or when you are next to a body of water. When you hunt, you do not receive the animal per se as what you have caught, instead you get its parts in form of what is shown in the picture. 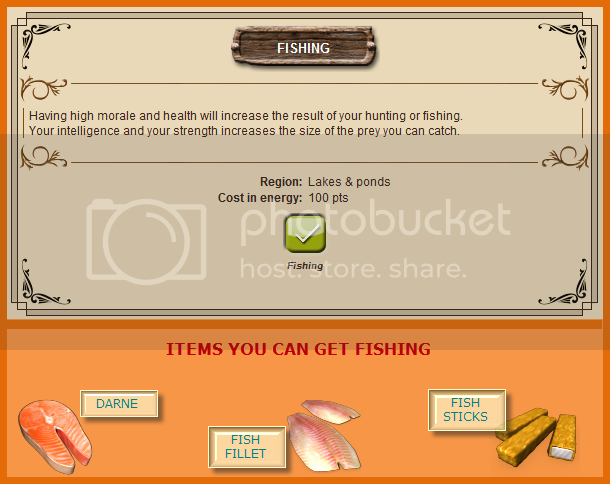 You will be able to fish near the rivers and lakes. 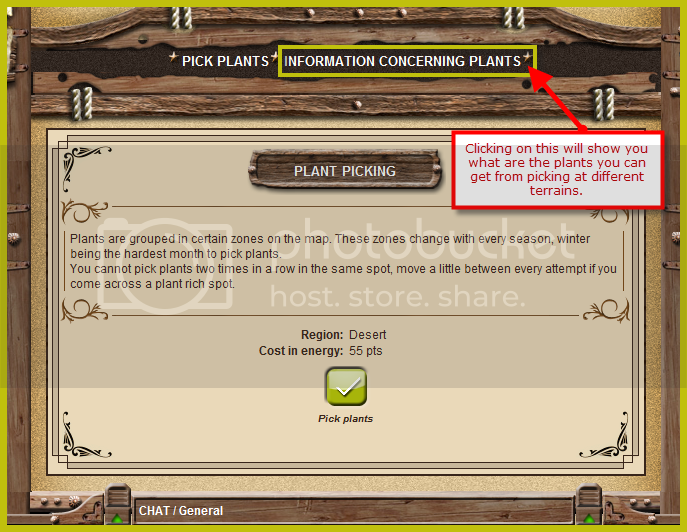 Plants are grouped in certain zones on the map. These zones change with every season, winter being the hardest month to pick plants. You cannot pick plants two times in a row in the same spot, move a little between every attempt if you come across a plant rich spot.